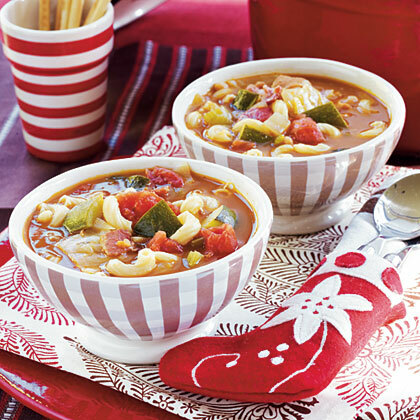 Bacon, celery, zucchini, garlic, and tomatoes come together in this classic soup recipe. Super easy and delicious, this is sure to make your go-to comfort food list. In a large stockpot, brown bacon, onion, celery and garlic; drain drippings. Add basil, salt, water, soup, broth, tomatoes and juice, zucchini, cabbage and macaroni. Boil until macaroni is tender.